Our Copperhead Ale is a copper colored German-style Altbier, with a light, malty sweetness and a pronounced hop flavor. Alt is the German word for old, referring to the older style of ale brewing. Altbier is Germany's pale ale. Copperhead Ale is top-fermented, making it an ale and it has a medium body. It has hints of maltiness and hoppiness in its aroma, with a definite hop flavor and a medium hop bitterness. Altbier is predominately brewed in the northern part of Germany, especially Dusseldorf and gets its "sweet roast" flavor and copper color from caramunich malts. I really can't remember where this one come from. It was either a gift from my friend Gene or it was a leftover from the tasting table at my last beer event, John’s Second Annual Craft Beer Event. I have had this once before but don’t really remember what it was like. I thought I liked it but I don’t have any notes on it. It will be interesting to see how it reviews. The beer pours a clear copper with amber hues and an off white head. 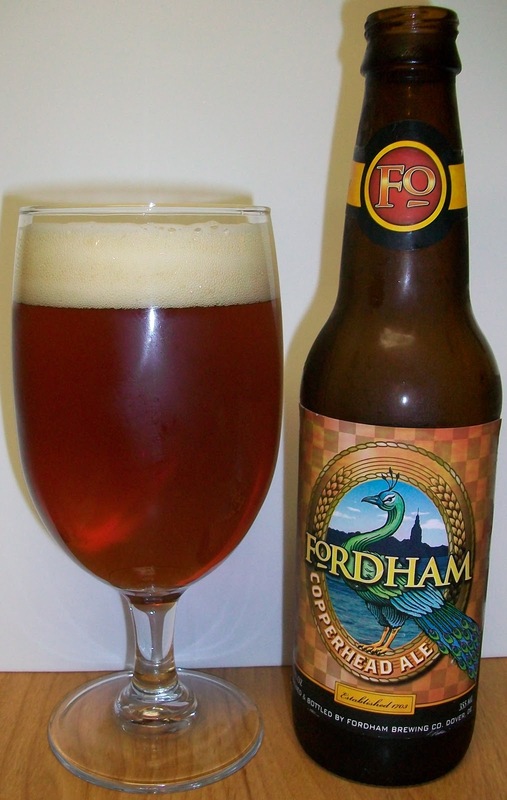 The nose is nice with caramel malts and light hops with spicy notes. Not bad. There is not as much of a malt flavor that I expecting but there is a nice refreshing aspect and an almost complex hop presence. Let me try to dissect this a little. It starts out with very light sweet malts up front then a pleasant effervescence over the tongue in mid-sip. There is also a building malt and hop robustness throughout the middle of the sip. The hop robustness turns into a real bite although the back end is still fairly easy to swallow; not effortless but easy. The finish has a nice hop bite along with a malty background. There is also an interesting spice or malt bitterness on the finish but even with this the finish is still fairly dry. This reminds me of the earthy malt flavor of some of the German beers mainly the Alt’s. There is not much of a final aftertaste, just slight hop bitterness and that malt flavor. All and all this is a very enjoyable beer. With these unique flavors this beer as the ability to taste differently with each bottle depending on what you are eating with it or before it. You could easily pair this beer with a variety of different meats. I like that this beer has a very refreshing quality and also a nice bite along with the malt flavors. This beer also warms nicely; the last few sips were close to room temperature and still very enjoyable. I’m going for a C+ maybe a B- on this one. It is a very enjoyable beer with a nice malt background and a mild hop bit. The earthy malt flavor may not be for everyone but I find it very enjoyable.